Love In White (Eau de Parfum) is a perfume by Creed for women and was released in 2005. The scent is floral-fresh. It is still in production. If you're too dumb to find the right fragrance name...! The fragrance I'm testing today is... yeah,... and off I go... stupid as I am, I'm looking here in the perfumo database all the time for the fragrance name that just doesn't seem to show up. I search Google for the fragrance name, but suddenly all sorts of Creed fragrances appear... and you know why? I have here an original sample of Creed in my hands, the sprayers that are stuck in these big cards. I open the thing and read the "fragrance name": Echantillon Eau de Parfum. Yes... the way it stands together, I actually think all the time that the fragrance is called Echantillon and I hold the EDP of it in my hands. I mean, how am I supposed to know that now again, that Echantillon really means nothing more than "test" in French?! Only then do I discover the real name of the fragrance: Love in White. Ooh, well. *sigh* Of course nobody says that here, so I immediately times somewhat offended the smell..... argh! The fragrance starts with a light, but also somewhat watered down scented orange or orange peel, because it also smells a little bitter. At almost the same time you can smell floral notes, especially general white flowers. Even if the beginning is fresh and citric, it quickly becomes more flowery-sweet. 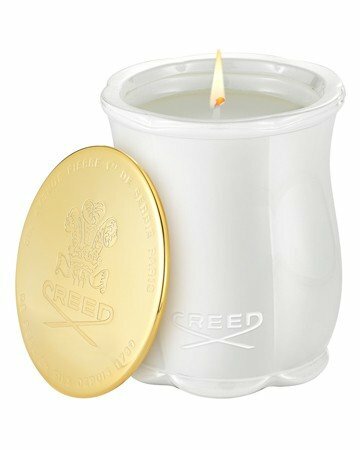 Somehow the fragrance also has something synthetic about it, which I normally don't know about Creed fragrances. Then the floral notes become a little weaker, so that you can smell the diluted orange peel again. A slight amber note can be heard, and something tart and herbaceous is also added, where I suspect that this should have come from the daffodil, but at least for me the daffodil smells rather weak and not as clearly identifiable as in Hermès Eau de Narcisse Bleu, for example. Then, a little later, the orange gets weaker, even if you can still smell a certain bitter note for a short while. However, the fragrance then remains mostly floral. Oh and sweet the smell is also not really despite indicated amber and vanilla. No, I didn't like the scent. The sillage is above average, diminishes a little afterwards and is therefore, in my opinion, best to smell only from close up with others. But the shelf life is okay, the fragrance lasts about eight hours like most fragrances. The beautiful bottle is high quality and pretty as always. 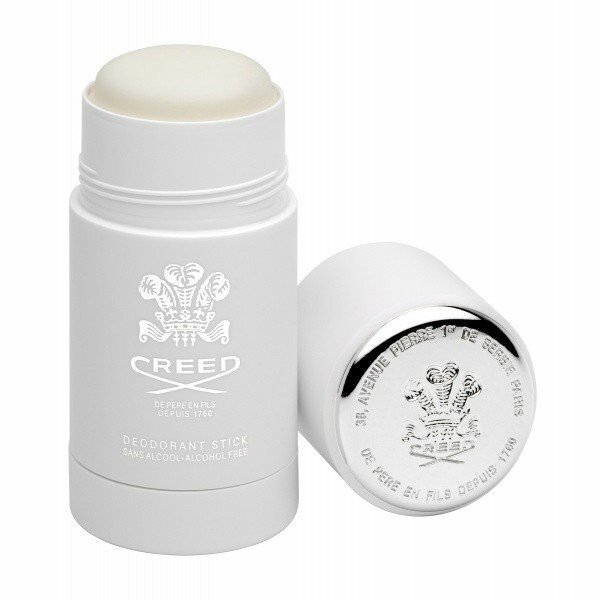 It has a matt white, shield-shaped shape with the Creed logo on the front, which has been worked into the bottle glass in the form of a recess. Below you can see the famous Creed lettering. The lid, which is also white, is square, but is pressed in spherically from top to bottom on each side and thus looks like part of a vault. There's a silver bow on the neck. It's a nice bottle, but there are more beautiful ones from Creed. Hm... so I have to say that this is one of the most insignificant Creed fragrances I have ever sniffed out. He really smells like nothing really. I mean, there's some oranges that don't seem to know if they're supposed to turn up the heat or not. The floral notes can't really decide if they should go in a certain direction either and smell just like that. 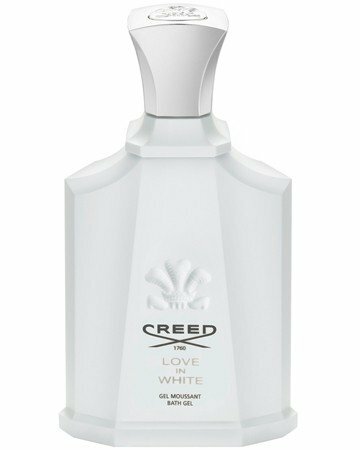 Sure, they are white flowers, but the fragrance is just so boring for me that it's almost sacrilege that the bottle says "Creed" on it. You can find such a fragrance for a fraction of the money, what this fragrance costs here, and even then most would certainly not buy it, because even among the cheap fragrances there are much better and more beautiful fragrances. Fragrances a thousand times better. Because for me the biggest point of criticism is not that the scent simply smells boring, but quite fast also simply does not become pleasantly smelling with its dry, stuffy scents, where besides the (here not beautiful) iris or vanilla smells even somewhat stinging. Otherwise the fragrance, as it smells, would be suitable for spring and summer (but not on very hot days, as it would then have to be extremely overwhelming) as a simple day fragrance, but I really can't recommend it. That also means, it is not worth testing the fragrance, at least not on your arm, that would really be a pure waste of valuable spray surfaces, if you are in the city in a perfumery! I do like this one. I think it's a very strong powdery floral in the opening which is good value for money as it is strong. I get a lot of white florals that project and come across strongly. I get the iris and jasmine and the rice notes. I think it could be suitable for formal occasions. I could see it working casually if applied lightly. Ultimately though, I can think of other fragrances that would offer better value for money if on a budget. Famous people may indeed wear it but that's due to the price and exclusivity more than anything else. I do think it's one to try, but I can't find the depth and intricacy as in other perfumes, although it is undoubtedly well made. It's a loud, yet pedestrian floral that is worth the money if you have it, just not what I would personally recommend if on a budget, or if money was an issue. Overall, well made and will get you noticed. Not at all a bad fragrance from Creed, but not the most complex (to my nose). My wife and I both really enjoyed this fresh floral, synthetic, mess of a fragrance. I mean that in a good way. I smelled Love in White when it first came out and was not impressed. I thought it was synthetic and plain. I had a sample that was in the closet and my wife wore it and I was blown away. Two things I didn't notice before: the bitterness, or freshness. The fragrance is a sneaky projection bomb and reminds me of classic unisex scents of the early 90's. And then there's that. The scent is unisex to my nose and could easily be worn by me. I ordered my wife a bottle but I think I'm definitely going to give it a whirl as this fragrance almost reminds me of Comme De Garcons 2 which is another synthetic bomb that I enjoy thoroughly. Creed may need to reconsider their marketing techniques as I am not sure how many women are going to appreciate the bitterness of the fragrance and the lack of florals to push this further on the side of femininity. Good job for the scent but bad job on the marketing Creed. I give this fragrance a 8.5 overall. Love in White by Creed is a surprisingly crisp, citrusy scent on my skin. I also find it rather difficult to wear, perhaps the only time I reach for it is during the midst of Summer when the weather is unbearably hot. Love in White is not something that I would call particularly feminine. I find it easily unisex, and I assume that men would indeed prefer this scent over and above women. In my opinion, it's marketed incorrectly. Like many, I had assumed that Love in White would be a smooth, powdery white floral with a touch of clean freshness. Well, I got the 'clean and fresh' bit right, but to believe that this fragrance was a floral was completely untrue. If you like sour citrus scents, Love in White is for you, but if that description makes you cringe, I'd advise that you try other Creed scents and stay far, far away from this little number. I really have to be in the mood to wear Love in White, and I also have to remember to apply sparingly, as the sillage is rather intense on my skin. Throughout the development, the scent begins to smell oddly reminiscent of an aquatic fragrance. When I smell Love in White I immediately think of Summer and clean laundry drying in the sun. Nevertheless, wearing this fragrance during the cooler months, as I've come to discover, can be a huge mistake. I must be honest and say that I prefer Creed's older scents, as their newer releases seem to have lost a lot of Creed's royal charm. But then again, I realise that this fragrance has a huge fan base, (apparently even Angelina Jolie loves wearing it), so perhaps it all boils down to personal tastes. Saline crisp green, by all mean. Love in White is such an appetizing fresh fragrance with twisted orange in the opening and rounded floral fresh heart and marine animalic nuances of ambroxan. It's very rendered and refined, so it's hard to grab a drawback technically. Reminds me of a vegetable salad with lemon juice you eat 4pm in July. Kind of synthetic but not as bad as Luca Turin destroys it! Julia Roberts type of perfume, skinny and sensitive! Great longevity, powerful sillage. In case you were wondering, the title of this review is directed at Luca Turin's famous scathing review of Love in White contained in The Guide wherein he states that he'd rather have lice than wear this frag. Although I laughed, that review got me curious as to what could provoke that kind of scorn. Initially I chalked it up to a hatred of all things Creed, but after browsing his reviews of the rest of the line I noticed that Turin does praise some Creed perfumes, albeit rather grudgingly. I eventually decided that Luca dislikes what he calls "overexposed florals," which would include Love in White and Amouage Reflection Woman, for example. Apparently, he doesn't care for the kind of sharp floral bouquet you sometimes get with magnolia, freesia and narcisscus, and he's certainly entitled to that opinion. For me, it's impossible not to like Love in White. The first note out of the bottle is orange zest, the smell of which I love so much that I find excuses to put it into all kinds of things when I'm cooking. Granted, this frag would be more balanced if something else was present to equalize the tartness of the citrus in the top notes, but I'm really not complaining. The florals in the heart of this frag are certainly bright and sparkling, and not something that I'd want to wear when all dressed in black and in one of my brooding moods. However, even the moodiest of us have days when we're feeling outdoorsy, optimistic or pleased with life in general and Love in White would be suitable for enhancing that sort of vibe. I can detect the Tonkin rice note that is mentioned in the Creed pr, but it really doesn't add anything in my opinion. The base notes are actually the best part of the composition, and turn this fairly wholesome, well-scrubbed frag into something more sensual and earthy. All in all, Love in White failed to live up to its bad reputation. Give it a try if you like a sharp floral with some citrus. I had to try Love in White at some point. Given the Turin reviews in The Guide, I couldn’t resist. The review gives LiW the George Bush style benefit of low expectations. I was half expecting the devil in a bottle. Balance the low expectations from The Guide with the stratospheric expectations set by the Creed press mythology (yacht, 5 year world search, exotic ingredients…) and LiW could only wind up a head-scratcher. Turns out it’s a bit of a tempest in a teapot actually. Floral blend, sweet synthetic woods. Loud, but otherwise not particularly remarkable for either its heights or its horrors. There’s something about a sweet yet acrid linear floral, though, that suggests personal product scenting. Shampoo or conditioner or the like. LiW seems designed along the lines of a hygienic or grooming product. LiW wins by driving down the middle of the road and avoiding both high and low expectations. Write the first Review for Love In White (Eau de Parfum)!